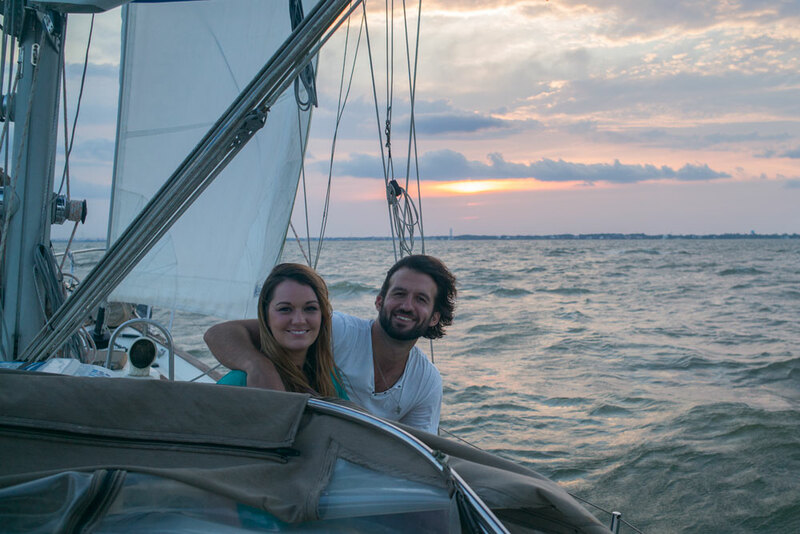 Last Saturday we had planned to go out on a sunset cruise on our boat with our friends TJ and Kayla when we got a call from the crew of Hippokampos inviting us along on their boat. Of course we accepted. 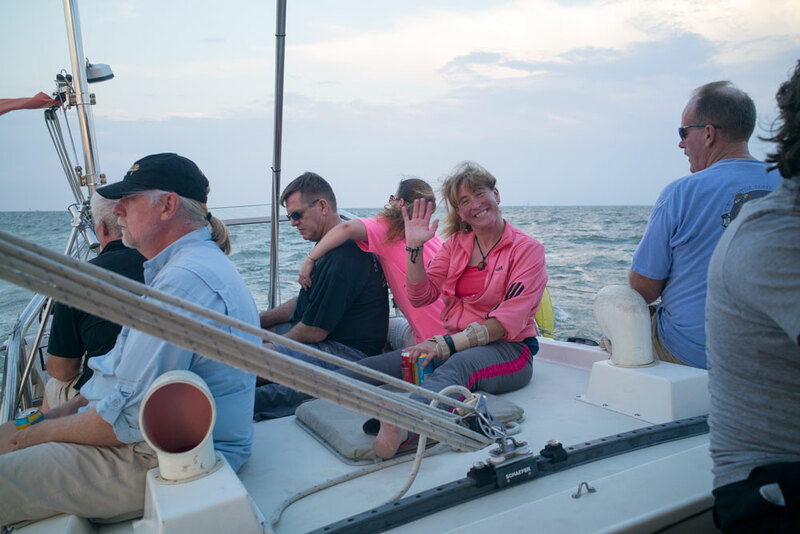 “The more the merrier” seemed to be the slogan of the night, as we ended up with 12 crew aboard. As we left the marina we brushed off warnings from other boaters about how there was a storm coming, and winds were bound to pick up. Well the winds did pick up, and we ended up furling the jib. 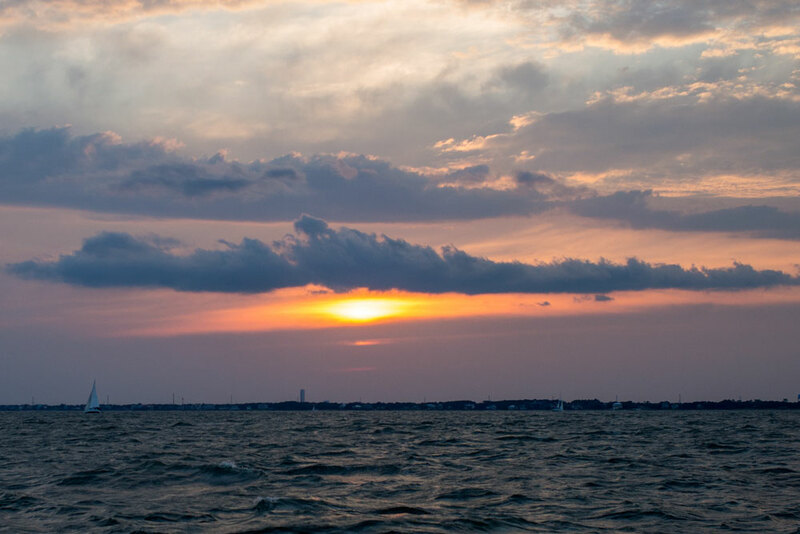 We were still making 7+ knots though, and it was a great sail. 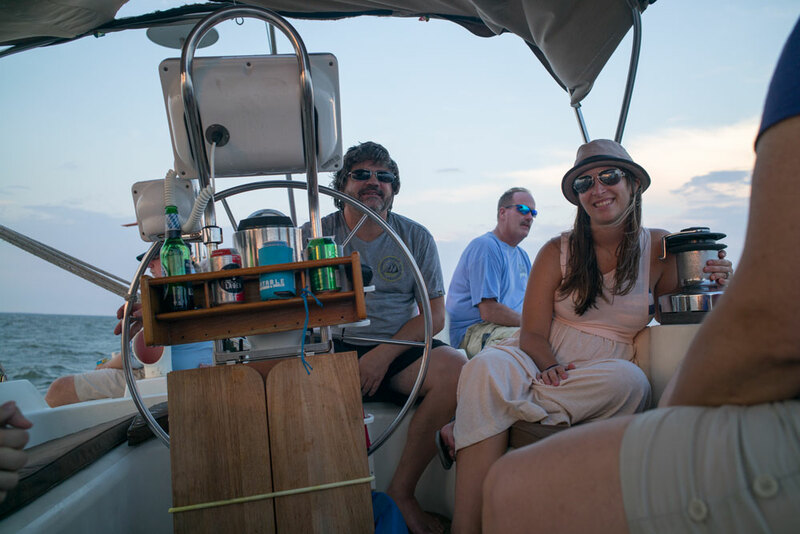 We even had some time to put out snacks, and of course the craft brews were not slowed down at all by the heeling. 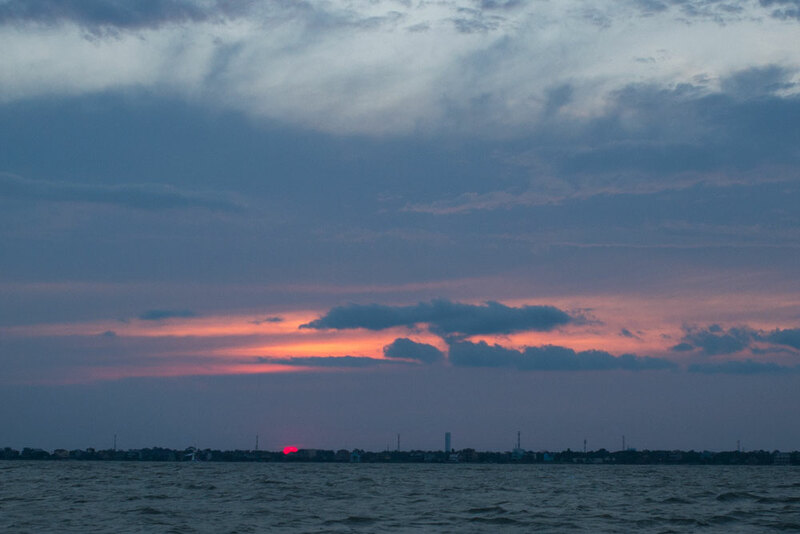 Although the clouds blocked the sunset a bit, all in all an amazing sunset cruise.